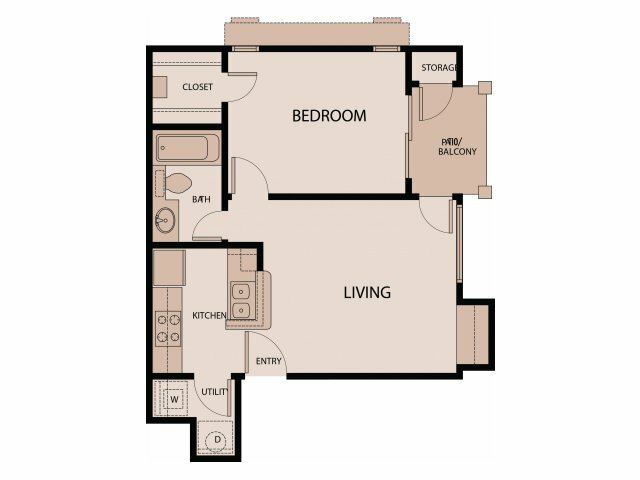 The Tate floorplan offers you open living in this one bedroom apartment. The galley kitchen has a breakfast bar that opens to you living room featuring built-in bookshelves. Take advantage of a private patio/balcony with storage closet, a utility closet for laundry, and a walk-in closet in the bedroom.